Remove the body rear seat back trim panel. 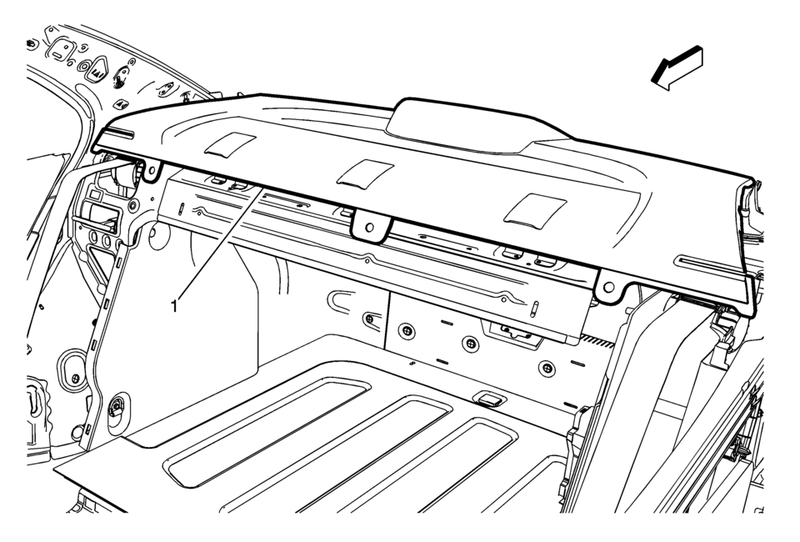 Refer to Body Rear Seat Back Trim Panel Replacement. When replacing the rear window panel trim assembly, transfer all necessary components.